WANTAGE TWP., New Jersey -- Two people were arrested after what New Jersey State Police call a woman's "naked, meth-fueled antics." Troopers were called to a car dealership in Wantage Township, Sussex County, shortly before 12:15 p.m. Tuesday for the report of disorderly conduct. According to police, callers told 911 dispatchers that an employee, 45-year-old Kimberly Shields, arrived at work, entered a restroom, stripped naked and refused to come out. State police say troopers arrived and were able to arrest Shields without incident. 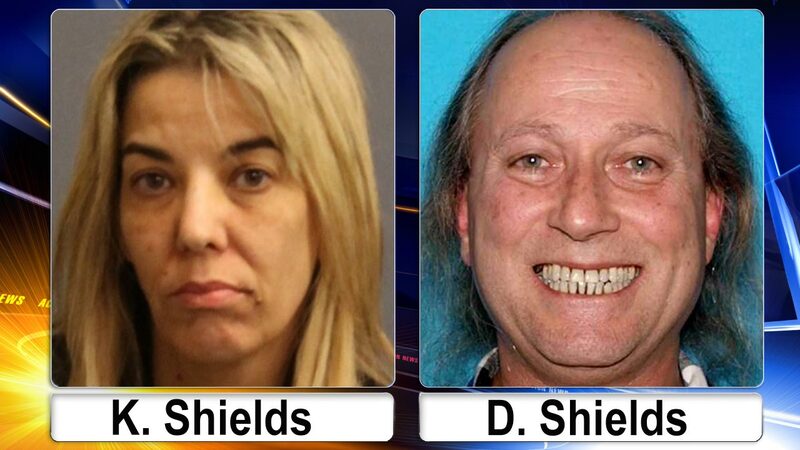 But, police note, the same could not be said about her husband, 58-year-old David Shields. Police say he arrived shortly after his wife's arrest and "made it a point to interfere with the investigation." He was also arrested. Kimberly Shields was charged with possession of methamphetamine and being criminally under the influence. David Shields was charged with obstruction. In the statement about the arrests, New Jersey State Police say the incident also serves as a public service announcement about the dangers of meth. "We can tell you that meth may make you go to your workplace, barricade yourself in a bathroom, strip naked and refuse to come out." They ended by saying, "Is that a good enough explanation?"